Well she started out (as they all do) as a budget build. He was just gonna run 35’s and be done with it but obviously hanging out with some of the Busted Knuckle Crew that just wouldn’t do. He already had 1 tons from his previous rig (85 F250HD) and thought that would be a good upgrade. Little did he know that was only the beginning. After the axles he started in on the suspension and drivetrain. He swapped out the three on the tree for an NP435 and left the D20 only after upgrading the rear output to 300M HD version (so far so good). 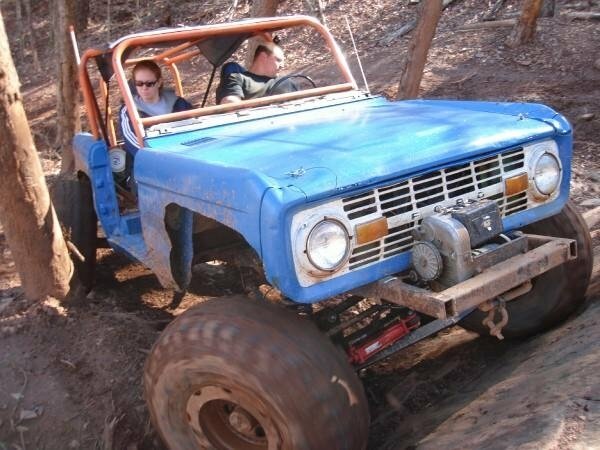 The front suspension consists of a wristed Radius Arm, BC bronco coils, bilsteins, and stock Radius Arm mounts. The rear (as of now) consists of inboarded springs, shackles hanging off the back bumper, Chevy 64″ leaf packs, and bilsteins. The rear sterling 10.25″ is pretty much stock except the diff is welded, a Great Lakes Offroad HD cover and 5.38 gears. 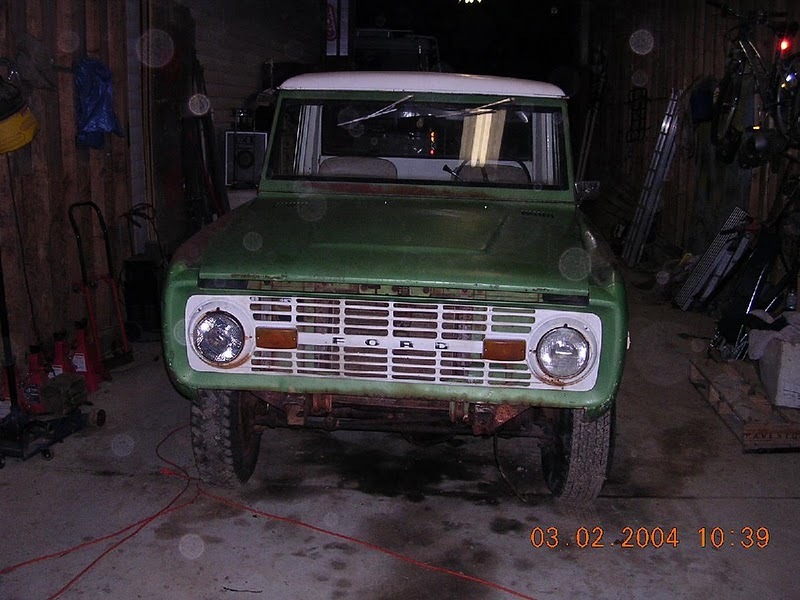 The front D60 is running 5.38 gears, cromo shafts, longfield joints, 35 spline outers, slugs, welded diff, 1410 yoke, dedenbear knuckles with steer arms on top, and GLO HD front cover. drive shafts are HD with 1410 joints on all ends and long slip splines. the tires and wheels are 39.5″ iroks wrapped around some custom double beadlocks from Stazworks. The 302 is freshly rebuilt with a high volume oil pump, extra capacity oil pan, high volume water pump, 130amp alt (from a taurus), and a high volume/high pressure powersteering pump, hydro boost brakes (which is awesome!) and full hydro steer (which is twice as awesome). 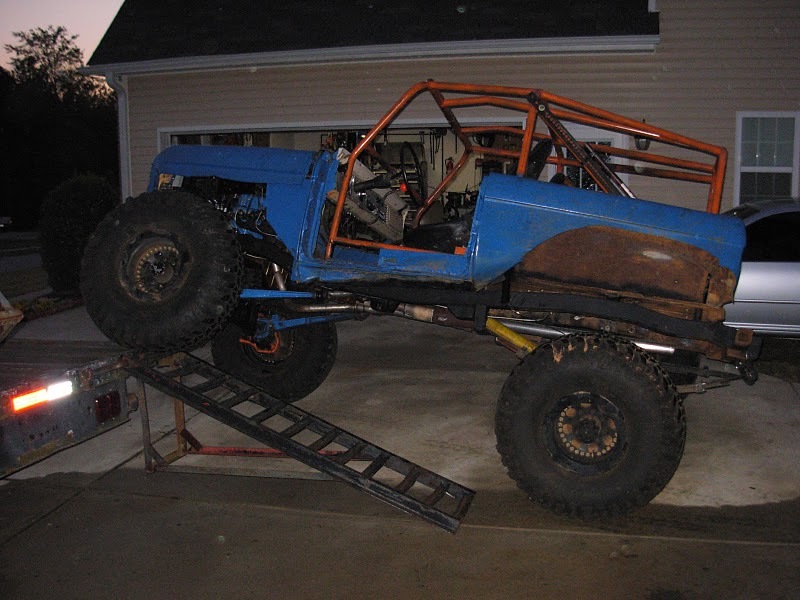 the steering came from Sean at Performance Offroad Systems POS (kickass guy!) removed the stock fuel tank in lieu of a true annheiser-busch beer keg that holds 15 gallons, thats right a Beer Keg fuel cell. Most of the body has been reworked and there is very little left of the original panels. The front and rear is doved and the whole thing is caged extending all the way to the front of the motor. The front panels were cut off and welded to the hood along with the grill so the whole thing lifts up as one unit and is out of the way so it can be worked on without anything in the way. The body was painted from the baby-turd-green it originally came from the factory to a bright “Ford” blue implement paint found at TSC. The cage got orange paint just to be bright and stand out. There has been many challenges with this rig along the way. Cutts is dertermined to get back out on the trail with it in the near future. You can find it in our debut offroad dvd entitled “Southern Shenanigans” available in our online store. Wow great article! extremely informative and to the point. He ruined it by dove tailing it. It was freaking bad!! Before he did that! !